At least that's what they say (whoever they are!). So we've gathered together some great ideas we've found to help you create amazing gifts and products to surround yourself with or for friends and family. Our site allows you to upload your own artwork and designs in jpg format to use in a variety of products. The world seems to get smaller and our destinations get broader with every trip providing special memories of places visit and people we’ve met. You take lots of photos to remind you of these trips yet how many of them are still living on your phone or a memory card? 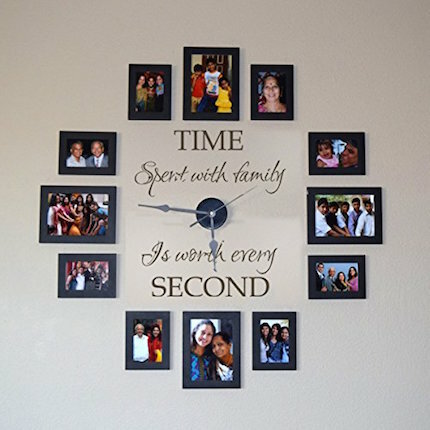 Well here’s a great way to release and display those memories. 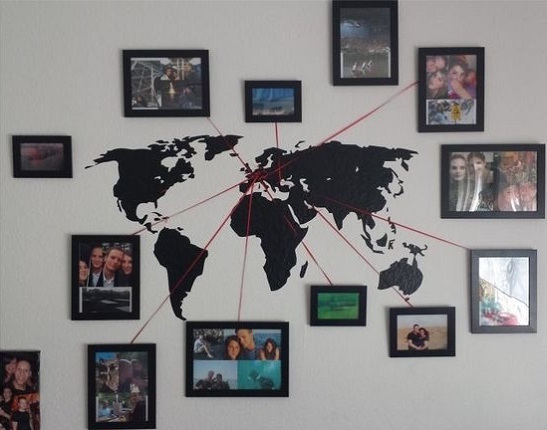 All you need is a simple map wall decal and your favourite images! Mix and match different sizes, styles and types of print to make an inspiring focal point for those amazing trips. Thanks to www.diyfunideas.com for this great idea. Visit our print ordering page to get started. These kind of clock mechanism kits are readily available online here in the UK and work beautifully when combined with 6 x 4 or 7 x 5 prints . Visit our print ordering page to get started. Is your hallway a mass of coats and shoes and everything else that is thrown off once your loved ones are inside the door? 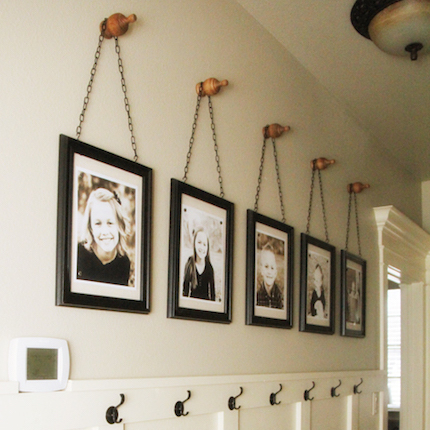 It’s amazing how you can restore order simply by giving each person their own space and what better way to divide the space than by hanging a beautifully framed photo of each. 8 x 10 or 8 x 12 prints are ideal for this kind of project. Visit our print ordering page to get started. Thanks to www.shanty-2-chic.com for giving us this great idea.